A valid credit card with expiry date is required for reservations and to guarantee of the first night stay. - All cancellation must be in writing by email or fax in advance 15 days prior to arrival date for full refund. - There is a one night room charge for any cancellation less than 15 days prior to arrival date. If you have any inquiries or would like to reserve the rooms, please feel free to contact us by e-mail or phone/Fax. 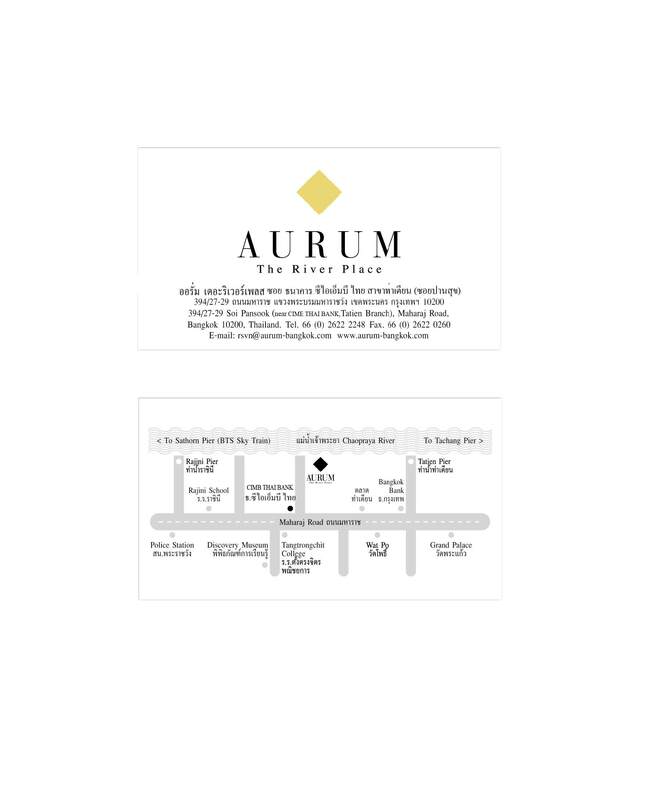 When you arrive the airport, you may ask a taxi driver to go to Aurum the river place next to WAT PO (opposite to "Tang-Trong-Jit Pa-Nit-Cha-Yar-Garn"). You may download and print the directions for showing to the taxi driver. The direction files are in PDF format or JPG format. Note: Metered taxi from the airport will charge extra 50 baht for the airport service fee on top of the meter, and there will be 70 baht for the express way fee. The total cost should be in a range of 400 to 500 baht. The electricity in Thailand operates at 220 volts, 50 Hz. 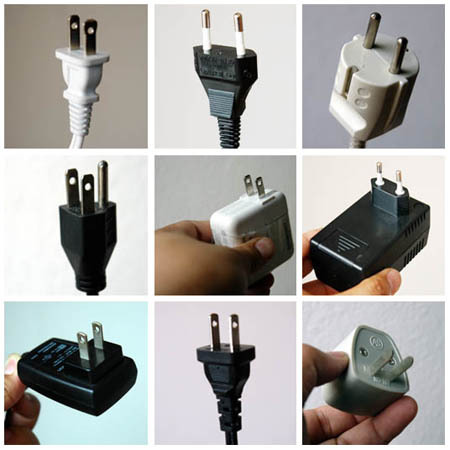 Some appliances such as Notebook adaptors, Cellular phone chargers, electric shavers, digital camera chargers will likely support universal voltage (any system from 100 volts to 250 volts). However, please verify voltage requirement of your appliances before plugging them into the socket. 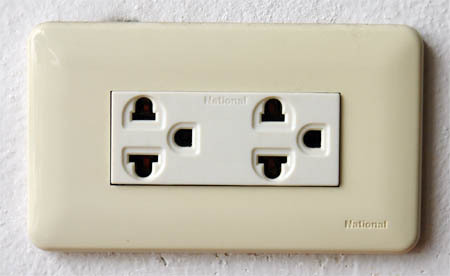 Most parallel (rectangular or round) connectors will fit. Otherwise, an adaptor is needed. For connector adaptor, please contact hotel helpdesk for assistance.